Christ’s son, Daniel Yoder, was a designer and visionary in the mining industry. He saw a great need during the late 70’s to provide accurate stratta logging and rock coring. As a result, he gathered existing drill technologies and incorporated them into a custom drill rig design. Several improvements later, this rig and others like it, are part of an 11 drill fleet that offers a wide range of drilling applications for Yoder Drilling and its customers. Our current president, Tim Yoder, has been an innovator in the geothermal loopfield industry. He has developed and improved processes for geothermal loopfield installations, which gained him a position on the developmental working group that wrote the guidelines for vertical geothermal bores in the State of Ohio. 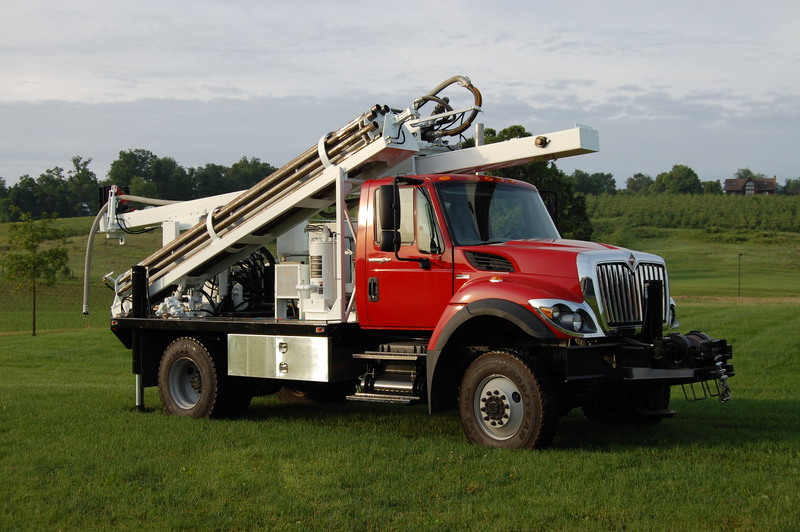 With the addition of water well installations, Yoder Drilling continues to diversify and expand its services. Production is the key motivator. Improving drilling technologies, reducing operating times, and providing accurate data to our customers at a reasonable price is what separates Yoder Drilling from the competition. Whatever your need, give us a challenge and we’ll make a hole!